Following the lead of parent Flipkart, Myntra has launched a customer loyalty program called ‘Myntra Insider’ to drive engagement on its fashion and accessories platform. Flipkart recently launched its ‘Flipkart Plus‘ which rewards users for their purchases, but Myntra wants to stand out by building a first-of-its-kind engagement driven platform. In fact, there’s a very low threshold to start earning points, and you can earn them by spending as little as ₹10. Insider is quite different from Amazon Prime as well, so it may well be worth your money. 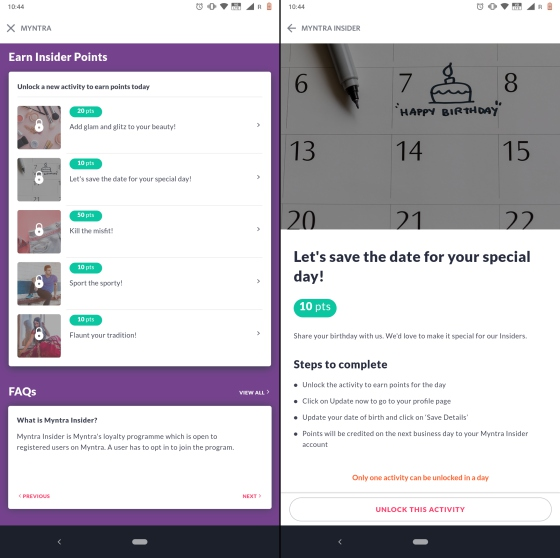 Myntra Insider goes live today, so it’s ready for action, and it’s quite unique for the Indian digital landscape. 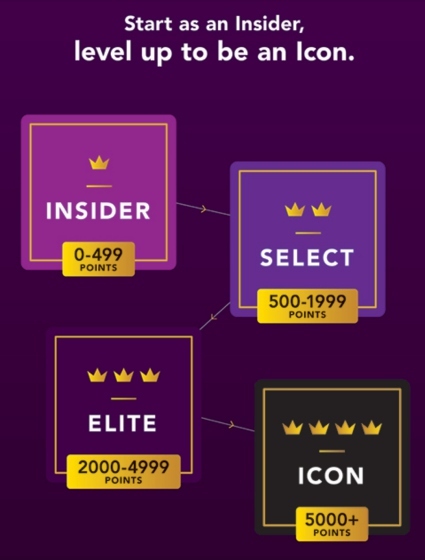 Myntra not only gives users points, but has elements of gamification throughout its platform. It’s not just about spending money; everything you do can give you some points – visiting specific pages, scrolling through products, adding items to your wishlist and cart and completing a purchase. Unlike Amazon Prime, Myntra Insider requires no membership fees. Any registered user who shops from Myntra gets the perks. 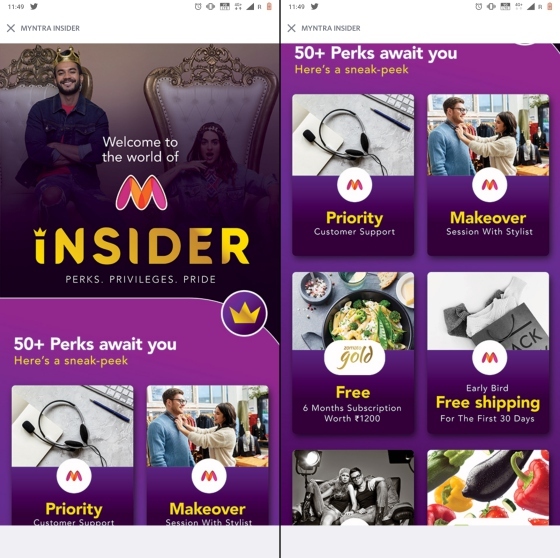 As a Myntra Insider users, you will earn 1 point for every ₹10 spent and will then gain access to privileges such as early access to sales, priority customer support, makeover sessions, free shipping for first 30 days, and a lot more. You gain access to deals and perks for restaurants, travel, entertainment, and more through BigBasket, BookMyShow, Zomato Gold, Hotstar, and MakeMyTrip as well. Myntra and Jabong CEO Ananth Narayanan said the company hopes to create Icons through Insider, which is Myntra-speak for home-grown influencers. Users have the opportunity to level up (just like you would in a game) and be treated like royalty on the platform. It is also possible for you to get casted as a model for Myntra’s own fashion shoots, which sounds like an awesome opportunity. The company boasts of ‘Perks. Privileges. 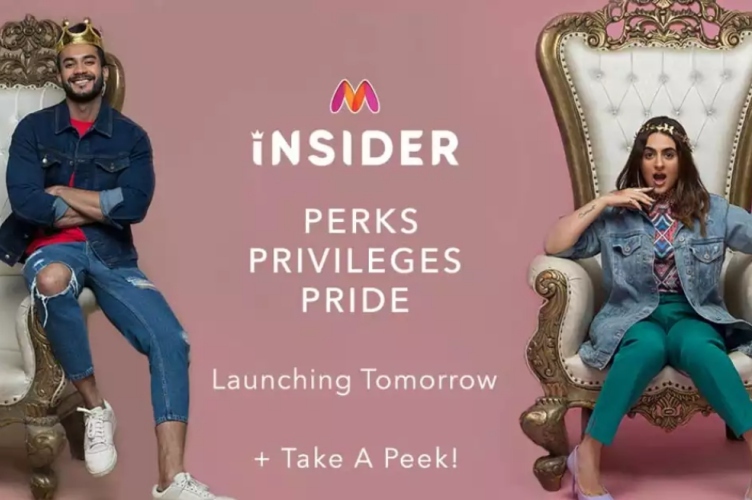 Pride.’ in the sneak peek for Myntra Insider which is currently live on the app and it sounds a lot more alluring than Flipkart Plus, which pays out 1 Plus Coin per ₹250 spent and requires 50 coins to join up. Loyalty program is the flavor of the season as digital services and companies look to increase user activity on their platform in the hope of converting that to increased transactions. The platform currently claims 20 million monthly active users and aims to attract at least 10 million subscribers for Insider by the end of the year.